AllThingsDigitalMarketing Blog: Happy 237th Independence Day America! Happy 237th Independence Day America! 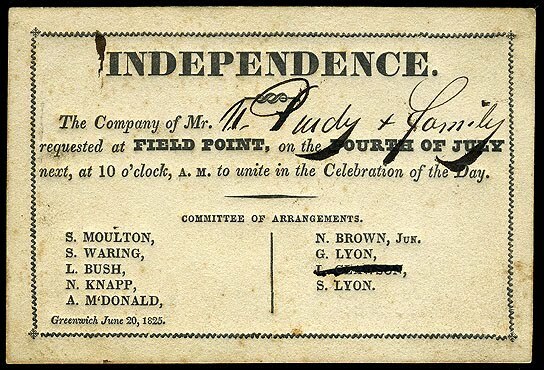 “The second day of July, 1776, will be the most memorable epoch in the history of America. I am apt to believe that it will be celebrated by succeeding generations as the great anniversary festival. It ought to be commemorated as the day of deliverance, by solemn acts of devotion to God Almighty. It ought to be solemnized with pomp and parade, with shows, games, sports, guns, bells, bonfires, and illuminations, from one end of this continent to the other, from this time forward forever more.” ~~ John Adams, American Founding Father, and the second President of the United States (1797–1801). Visit this link The 12 best places to see NYC's July 4th fireworks! by Curbed. Adams's prediction was off by two days. 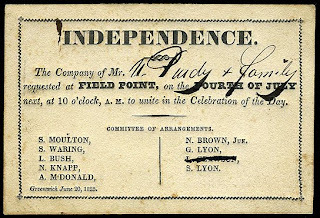 From the getgo, Americans celebrated independence on July 4, the date shown on the much-publicized Declaration of Independence, rather than on July 2, the date the resolution of independence was approved in a closed session of Congress Independence Day, commonly known as the Fourth of July, is a federal holiday in the United States commemorating the adoption of the Declaration of Independence on July 4, 1776, declaring independence from the Kingdom of Great Britain. This year marks the 236th Anniversary. 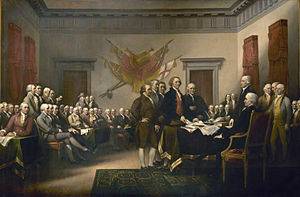 Remarkable coincidence is that both John Adams and Thomas Jefferson, the only signers of the Declaration of Independence who later served as Presidents of the United States, died on the same day: July 4, 1826, which was the 50th anniversary of the Declaration. Although not a signer of the Declaration of Independence, but another Founding Father who became a President, James Monroe, died on July 4, 1831, thus becoming the third president in a row who died on this memorable day. Calvin Coolidge, the 30th President, was born on July 4, 1872, and, so far, is the only President to have been born on Independence Day. If you happen to be in New York City today, don't miss Macy's Fourth of July fireworks display on the Hudson River which begins at 9:00pm. 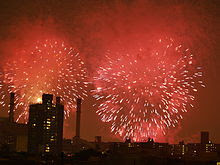 This year marks Macy's 37th year celebrating July 4th with fireworks in NYC. More information visit this link at Macys Fireworks! 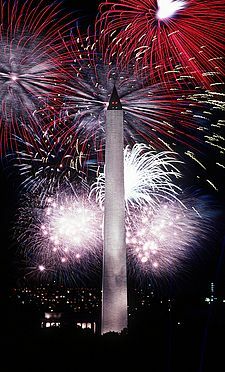 Visit this link Where to see Macy's 4th of July Fireworks ! by Stephanie.